Stop taking snapshots, capture photographs! Learn how to see and shoot! Have you ever marveled at the work of skilled photographer's and thought, “I wish I was talented like like that?” Guess what! All of the superstars started where you are. These things can be taught! This video teaches you how to transform your photography! Your images will instantly become more powerful and engaging. In addition to teaching you the rules of composition, Tim shows you why the rules work, and when to break them! This video takes you through the steps of seeing, designing, and executing the final composition. Learn how your shutter speeds, f-stops, and lens length are crucial to composing your photo. Never take a boring shot again. Tim Cooper has been travelling all over the nation for a decade, helping thousands of photographers hone their craft. For the first time ever, Tim sat down in his studio and captured the magic on this video. As you watch, Tim's plain English style will cause you to understand composition and realize, it's not all luck and natural talent that captures great photos. This video teaches you how to transform your photography! Your images will instantly become more powerful and engaging. 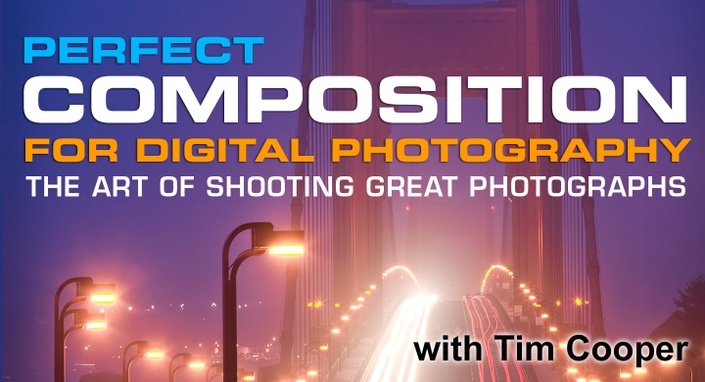 In addition to teaching you the rules of composition, Tim shows you why the rules work, and when to break them! This video takes you through the steps of seeing, designing, and executing the final composition. Learn how your shutter speeds, f-stops, and lens length are crucial to composing your photo. Never take a boring shot again.